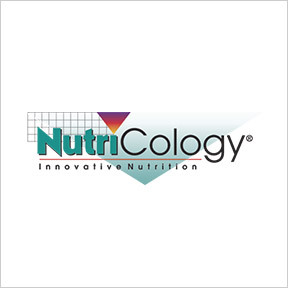 For over thirty-five years, NutriCology® has formulated scientifically-based, high quality, cutting edge, truly hypoallergenic dietary supplements in support of optimal health and quality of life. As a pioneer of low-allergen potential formulas, NutriCology® utilizes pure natural ingredients synthesized to retain the molecular benefits of the desired nutrients they contain, while leaving antigens and allergens behind. NutriCology® products are manufactured according to strict cGMP FDA quality control regulations. These standards include receiving, independent testing of raw materials, production controls, laboratory testing of finished products, truth in labeling, and shelf life expiration testing to ensure freshness. All products are assayed for identity, purity and potency. NutriCology’s in-house research and development team continues to develop advanced technologies that maximize product delivery, absorbency, and effectiveness. Their hypoallergenic products are free of all common allergens, specifically wheat, corn, gluten, soy, yeast, dairy, eggs, fish, crustacean shellfish, tree nuts and peanuts. Pycnogenol® 100 – Decades of research and published clinical studies have demonstrated the effectiveness of Pycnogenol®, a patented French maritime bark extract that contains a unique combination of bioflavonoids, phenolic acids, procyanidins, and other beneficial compounds. Super B Vitamins – This advanced and complete B-vitamin formula provides substantial amounts of all eleven B-vitamins, including extra pantothenic acid (B5) and the co-enzyme forms of B2 and B6 for enhanced bioavailability. Vegetarian capsules. Complete Digest™ – This full spectrum vegan enzyme blend provides lactase, lipase, alpha-galactosidase, amylase and Glutalytic®, a peptidase blend, to assist the breakdown of gluten, gliadin, casein, whey, lactose, protein, fats, and carbohydrates. ImmunoPro® – This biologically active, non-denatured whey protein concentrate contains high levels of lactoferrin, immunoglobulins, active peptides, growth factors and glutathione precursors. ImmunoPro is derived from the milk of natural grass pasture-fed cows. Pastures are pesticide and chemical free and cows are not subjected to any chemicals, hormones, antibiotics, genetically modified organisms, or hyperimmunizations.